The Russian Defense Ministry has confirmed media reports on the deployment of short-range Iskander missiles in the country’s west, near its borders with the Baltic states and NATO members, saying that it does not violate international agreements. 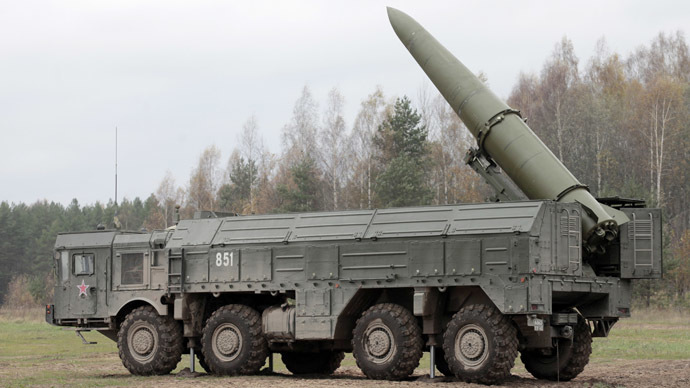 German newspaper Bild wrote this weekend that Russia stationed several Iskander tactical ballistic missile systems - which are capable of carrying nuclear warheads - in its westernmost exclave of Kaliningrad, along the border with Baltic states. The paper said it obtained “secret satellite” images showing at least 10 Russian missiles close to the EU border, which were deployed over the past year. 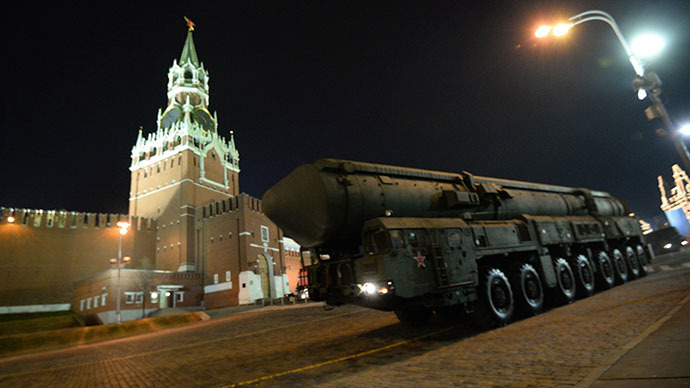 Commenting on the matter, Moscow confirmed that it did station the missiles, which have been designated by NATO as SS-26 Stone, in the region. 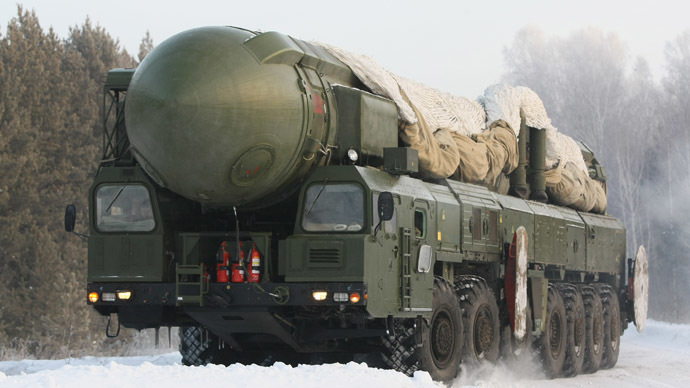 “Rocket and artillery units of the Western Military District are really armed with Iskander tactical missile systems,” Maj. Gen. Igor Konashenkov, head of the Defense Ministry’s press service, told reporters on Monday. “The concrete areas of the deployment of Iskander missile battalions in the Western Military District do not contradict any international agreements or treaties,” he added, as quoted by Interfax. Lithuanian Defense Minister Juozas Olekas said earlier that he was concerned over the reports of Russian missiles near his country’s border. He added that the former Soviet state had discussed with its neighbors and NATO partners “how to react and protect” themselves, because “any incidents were hypothetically possible,” Delfi news website reported on Monday. Neighboring Latvia sees no threat to its security from the Iskanders being stationed in the Kaliningrad region, according to Defense Minister Artis Pabriks. “NATO guarantees to us rather high security level,” he said in an interview with LNT on Monday, as quoted by RIA Novosti. Meanwhile, Poland says it is worried about the deployment of Russian missiles near its border and plans to hold consultations on the matter with alliance partners. Iskanders have been stationed in the region for over 18 months now, a senior official at Russia’s Defense Ministry told Izvestia daily. “Everything works as planned there. I don’t know why the Germans are raising a scare now,” the source noted. Russia is not going to ease its defense on European borders, where the western military alliance keeps its strategic missile forces, said deputy head of the State Duma’s defense committee, Viktor Zavarzin. “NATO has American tactical nuclear weapons in Europe. Who can it be aimed against if not Iran? Only against us,” he told the daily. The official pointed out that Russian missiles do not pose a threat to anyone. Rather, they are solely for defensive purposes. 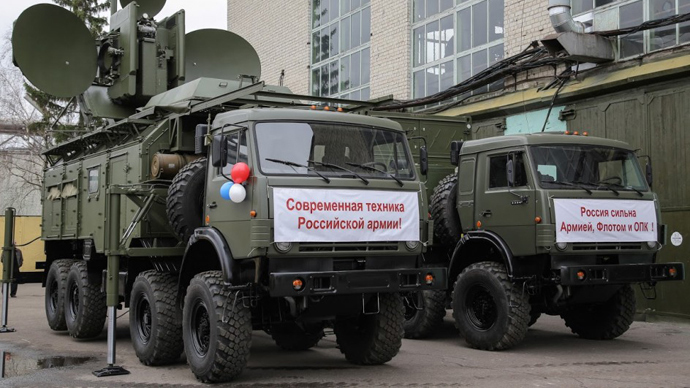 The deployment of Iskanders in Kaliningrad came in response to the development of the US missile defense system in Europe – which has long been a stumbling block in relations between Moscow and Washington. Back in November 2011, when the US failed to agree to make the missile defense shield a joint project with Russia, then-President Dmitry Medvedev announced sweeping plans to address what Moscow considered to be a threat to national security. 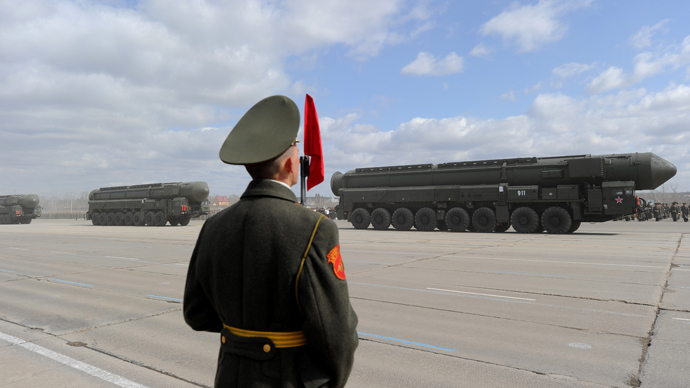 He said he would deploy strike systems in the west and south of the country, as well as station Iskander missiles in the Kaliningrad region in order to counter the risk posed by the European missile defense shield. Moscow has long been calling for legally-binding guarantees that the missile defense system will not be aimed against Russia, but the US has so far refused to deliver such a promise. For years, the necessity of building the missile defense shield in Europe was justified by the perceived threat from countries like Iran. However, as the controversy over Tehran’s nuclear program seems to be nearing an end, the US is not altering its intentions. “We realize clearly that the anti-missile defense system is only called defensive, while in fact it is a significant part of the strategic offensive potential,” President Vladimir Putin said in his address to the Federal Assembly last week.